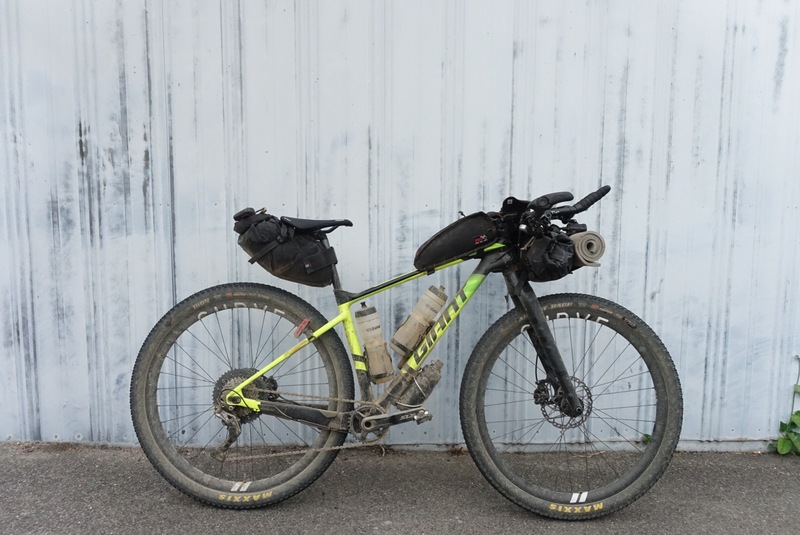 I wanted to take an in depth look at my Tour Divide rig. 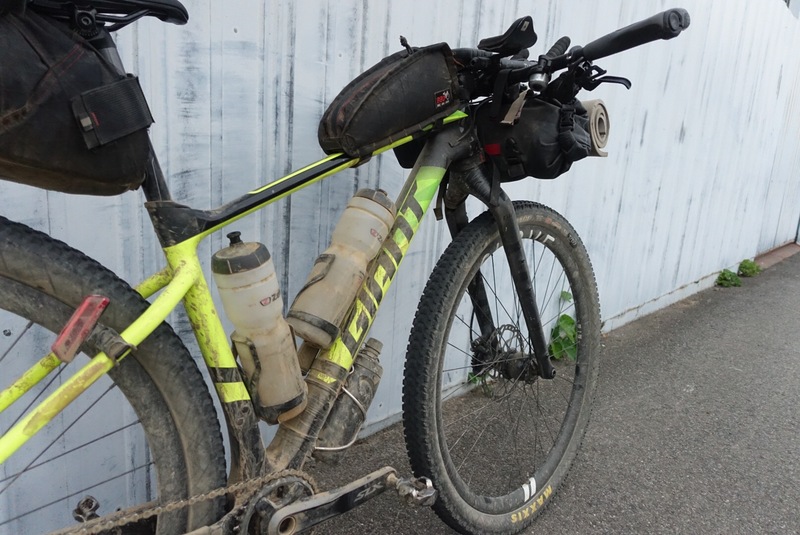 The basis for the bike is the Giant XTC which is their carbon cross country mountain bike which I’ve been riding for the past year set up as a more traditional XC bike. The amazing crew at Saint Cloud and Giant have got me set up on a new bike for the new year and my Divide run. From the stock set up I’ve made quite a few changes to get it Divide ready. I’ve kept the frame and the bomber SLX group set. SLX is nothing flashy but is a workhorse groupo that gets the job done! The brakes were upgraded to XT and I’ve swapped the stock wheels out for my Curve 30×30 to Son dynamo wheels, a custom painted Niner RDO fork, Profile Design Aerobars and a few other adjustments based on my preference and fit! The setup weighed in at 17.1kg which was a little heavier than I had hoped for but also there wasn’t anywhere else I could really shave weight and there wasn’t anything else to be left behind. Everything I took I used, and was pretty essential. First aid: Band aids, butterfly closures, precut strip of KT tape, gauze pad, 2x iodine swabs, neosporin, hand sanitiser, ibuprofen. I ran the same chain/cassette and tyres the length of the race. The rear tyre is pretty toast but it went the distance. 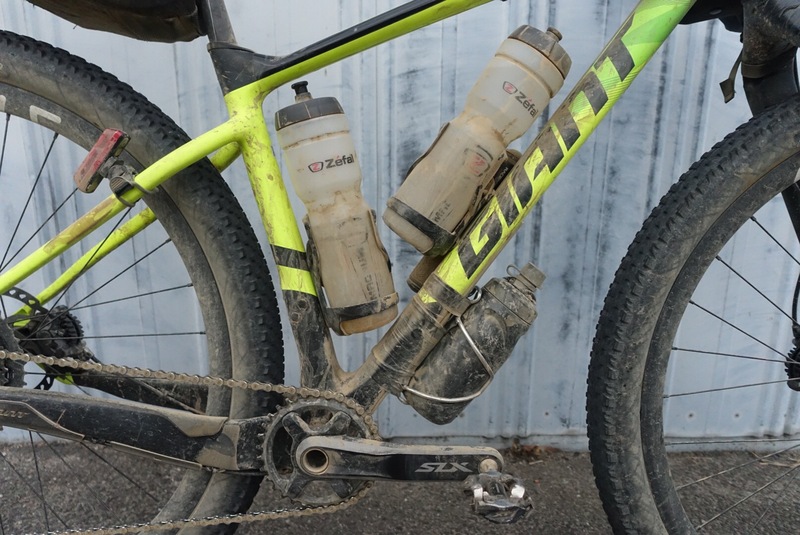 Similarly my shifting was a bit sloppy for the final days as the chain wore beyond an acceptable level but there was no skipping or anything and I’d run the same strategy again. The tyre combo I ran was good but not perfect. A lot of other riders ran Vittoria Mezcals with success. I will likely try those soon for comparison. I chose to go with metallic brake pads for their longevity despite my preference for resin pads. They too went the distance despite some pretty horrible conditions in the first week of the race. My choice of rain pants wasn’t good. The Montane Featherlites weren’t up to the task. Despite testing them extensively in the Australian high country they just weren’t up to the rigours of the Divide. They left me wet and dangerously cold a couple of times and I could feel the heat being stripped from my legs and core descending off passes in poor conditions. For ~30-40g I could have taken a much more substantial and properly waterproof pair of pants. Lesson learned. The Borah rain mitts were amazing. So good that I’d choose to take a less substantial pair of under-gloves in the future. I chose to take a heavier bivy; around 350g. 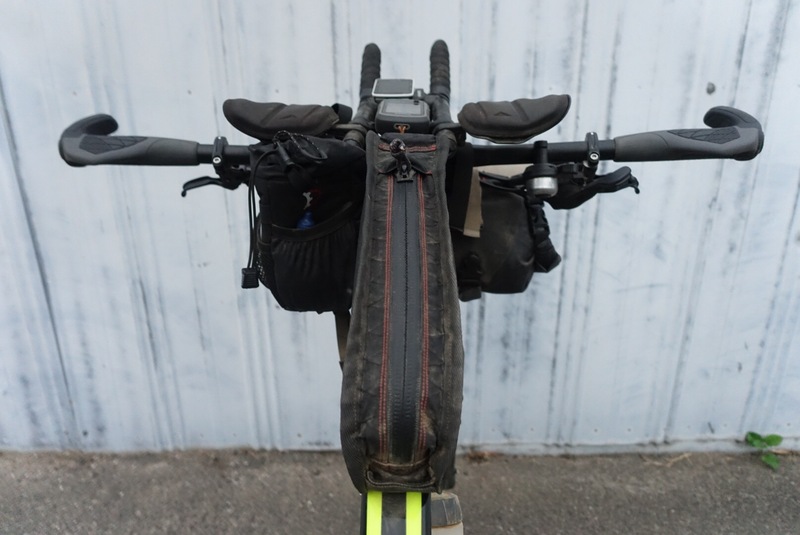 There are some sub-200g options out there with less features but the zip, bug mesh and roominess of the Borah bag were worth the extra weight to me. I left Banff with 3 pairs of socks; winter weight, medium and super thin. I used the winter weight ones a few times on the wettest and coldest days in the first week and ditched them once I was out of Montana. 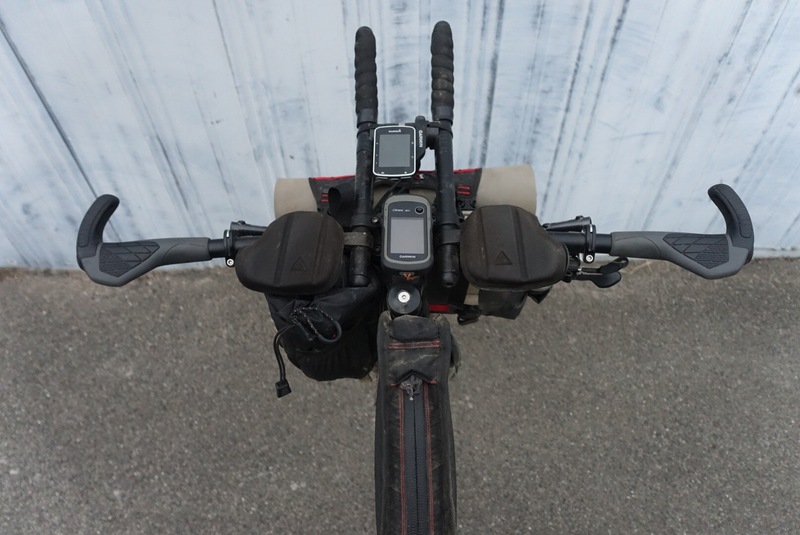 The medium weight socks were in the rotation until that point and then were worn exclusively until I reached Pinedale, WY and things started to get warmer and dryer. They met with the trash there and the summer socks were worn exclusively from there to the finish. Having a few options for socks and always being able to have a dry pair to put on was a successful strategy and my one real luxury item I carried. Finally I will be changing my dynamo light and charging to a K-Lite set up. The Sinewave Beacon wasn’t bright enough, was a bit finicky with charging and gave me some issues. I chose it because it was such a clean and simple solution to have the charging integrated. 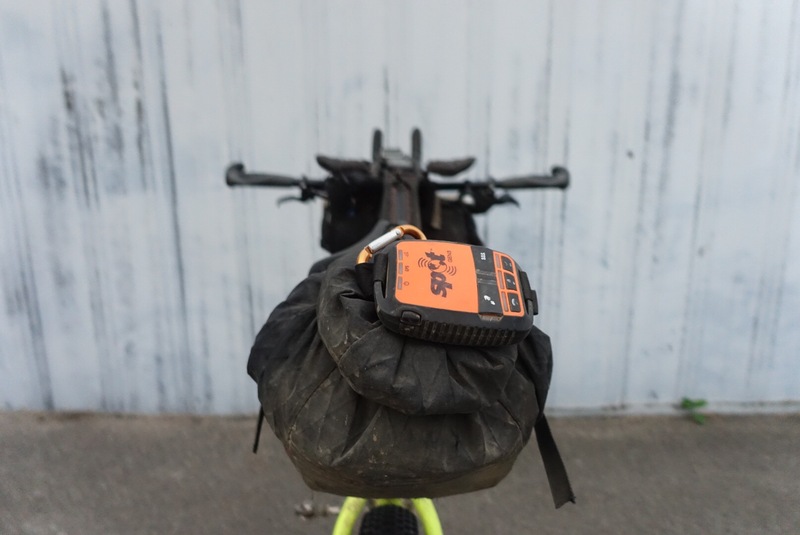 I trained with and tested the light thoroughly and was confident enough in it to decide to run it for the race but it simply wasn’t good enough. Dialled looking set up! 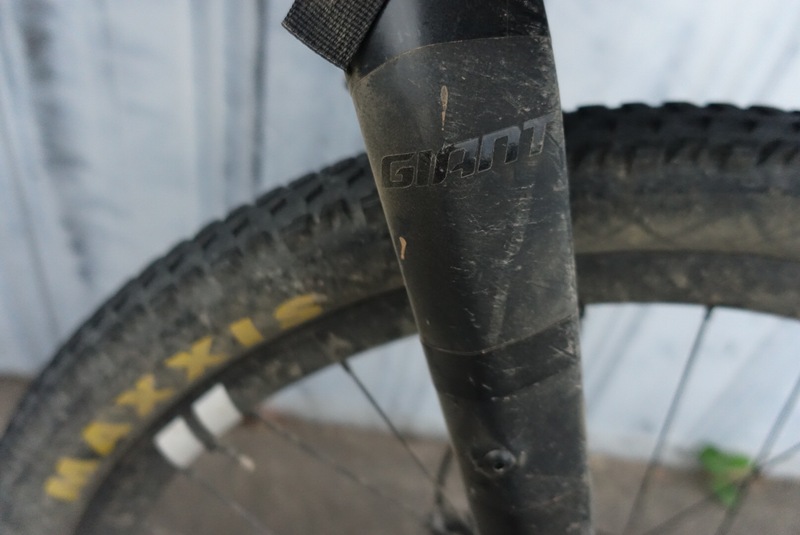 I just got the 27.5+ version of this running 2.8″ tyres. Keen to experiment with different tyre widths and 29er wheel on this. 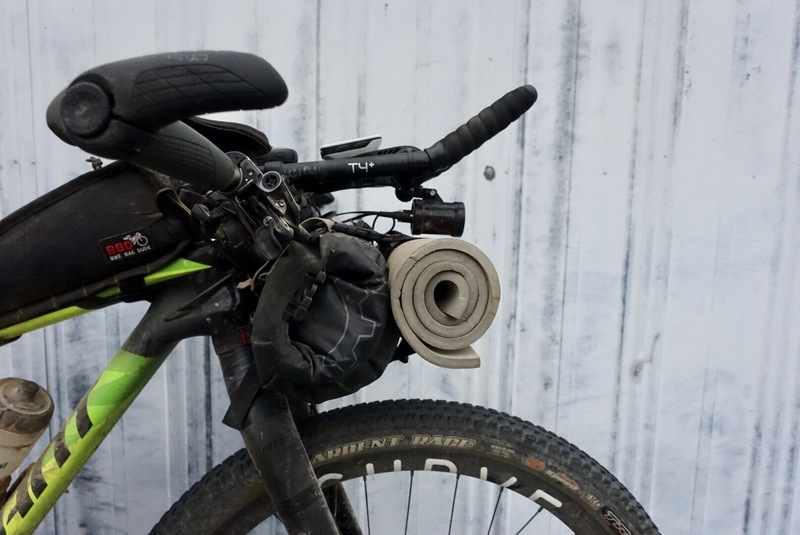 Have you tried anything bigger than a 29 x 2.2″ on that frame? 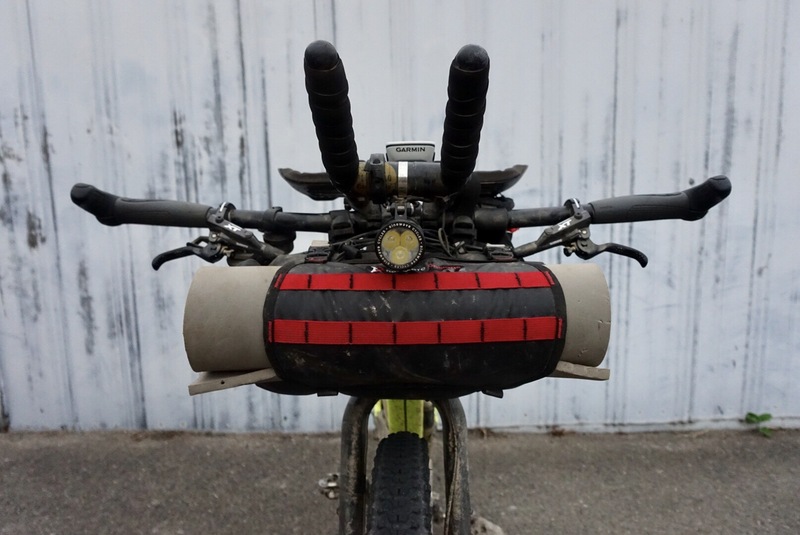 Also, what did you use to mount the underside downtube cage? Cheers and all the best at TD. Cheers mate. Nah only 2.2” but there’s a tonne of room. I’d imagine you could easily fit a 2.4. 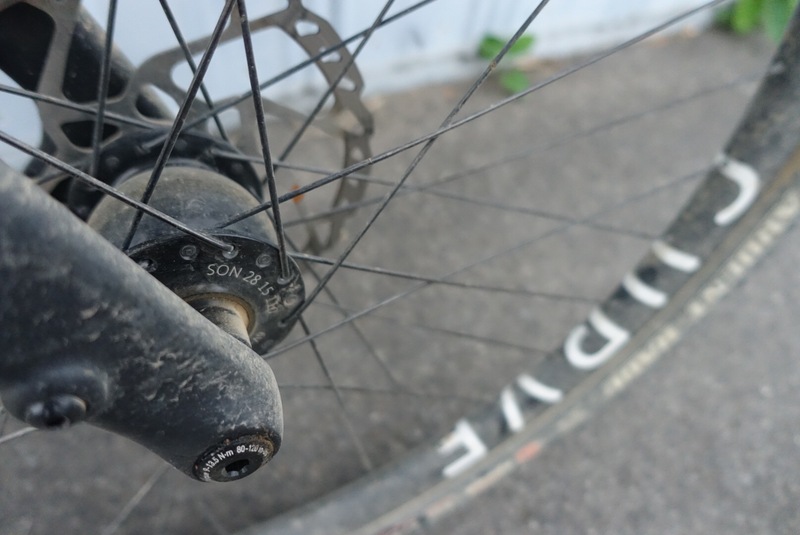 Maybe even a 2.6” if you pulled the wheel back in the dropouts a bit. I’m running it slammed forwards. Lewis, well done this year. I recently switched to a 1×10 with 32 eliptical front ring. I see yours is the same gearing. Did you find that you ran out of top gear with the 32/11 combo? All 3 of my TD runs have been with 2×10 or 3×10 gearing, and am considering using the 32 11/46 combo in the future. Thanks! Hey mate. Thanks. Yeah I definitely ran out of gear. I might run 34t if I ever go back, but I intentionally geared conservatively and was pretty happy with that decision. I don’t think it held me back. Dear KO-Fleecer-M :-). Congrats (again) on such a great ride Lewis. 1. Was the issue with the Beacon a brightness _consistency_ thing, or just not bright enough even at maximum? And 2. How did the rain mitts go with gripping and braking? They’d need to have enough width to enable good grip with the outer fingers while working brake levers. Yeah bad flickering at low speeds. Max brightness was okay, but not great. Been playing with a new prototype KLight and it’s way better!